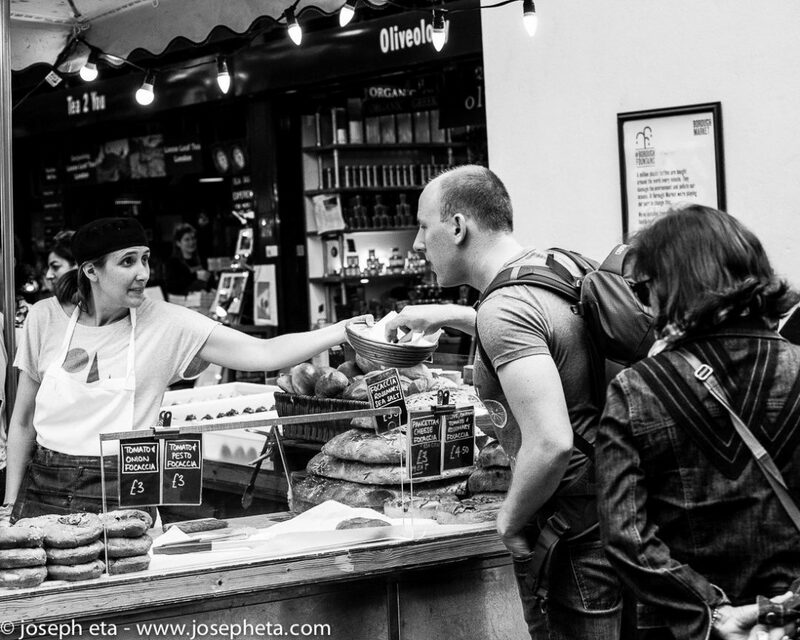 The ‘The Foodie’ is part of a three-part London travel guide that is based on three different tourist personalities. The other two parts are ‘The Spender’! and YOLO (you only live once)! 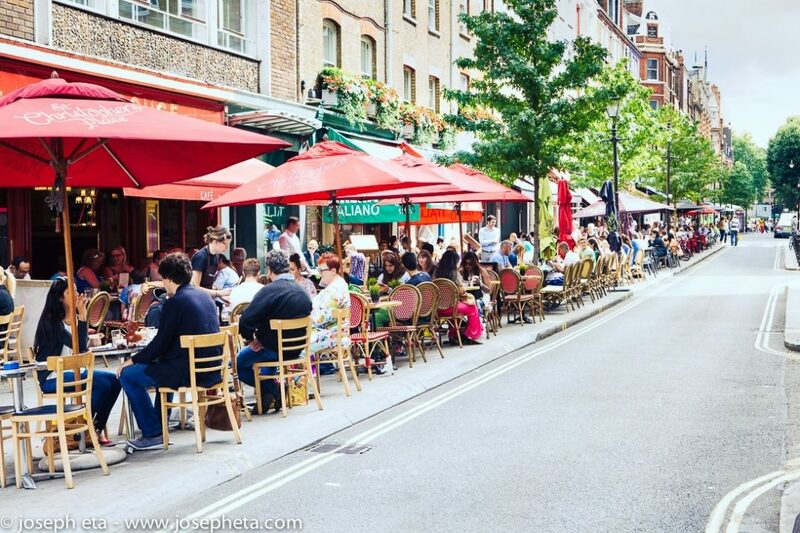 London’s bustling food scene is to be celebrated in every corner in the capital. Whether you want to scour farmer’s markets for local produce, or seek out the most divine afternoon tea in town, London has it all! Start your day with a hearty brunch at The Wolseley in Mayfair. Working brunches are popular here, and it’s a great spot to see and be seen. 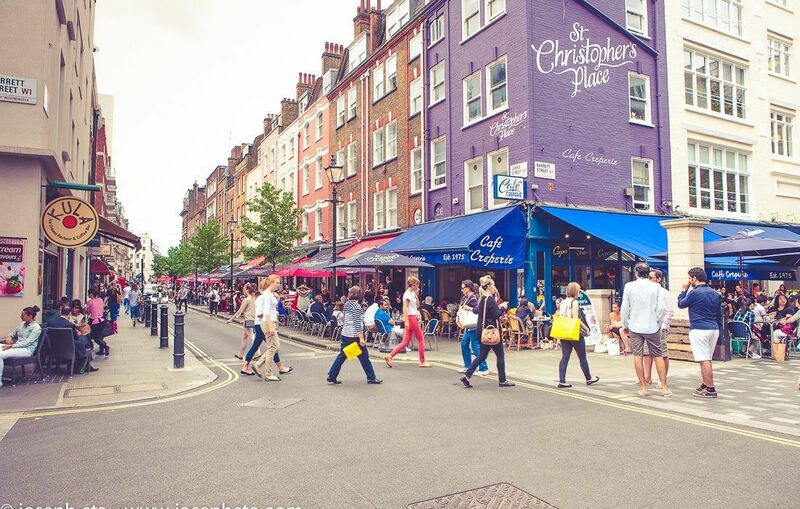 Make your way down to Soho (preferably by cab), to enjoy a pastry from one of the many café’s, bakeries and independents in and around bustling Old Compton Street. It’s also a great place to grab a coffee and watch the world go by. With it being a LGBT popular area, it’s extremely friendly and welcoming too. A few streets away bordering Leicester Square, is China Town – one of the rare places where tourists and locals dine together enjoying oriental cuisine. They are all pretty similar, so go wherever takes your fancy! When it comes to five-star celebrity spotting, there’s no end of places to visit. The most iconic being The Ivy (5 West Street) and the newest ‘cool spot’ on the block is The Chiltern Fire House in Marylebone –get your concierge to book ahead, tables are not easy to come by. Of course, England is known for its afternoon tea’s – a treat to be enjoyed sometime after lunch and any time before dinner. The Ritz (150 Piccadilly) might be the most famous, but the Savoy Hotel is most certainly making a comeback. Sketch in Soho meanwhile attracts a much younger crowd, with the pretty petit-fours. For a good steak, The Hawksmoor (Air Street) is super hip with a suitable price tag to match. Other favourites include the Hawksmoor (11 Langley Street) and The Gaucho chain of restaurants dotted around the capital. 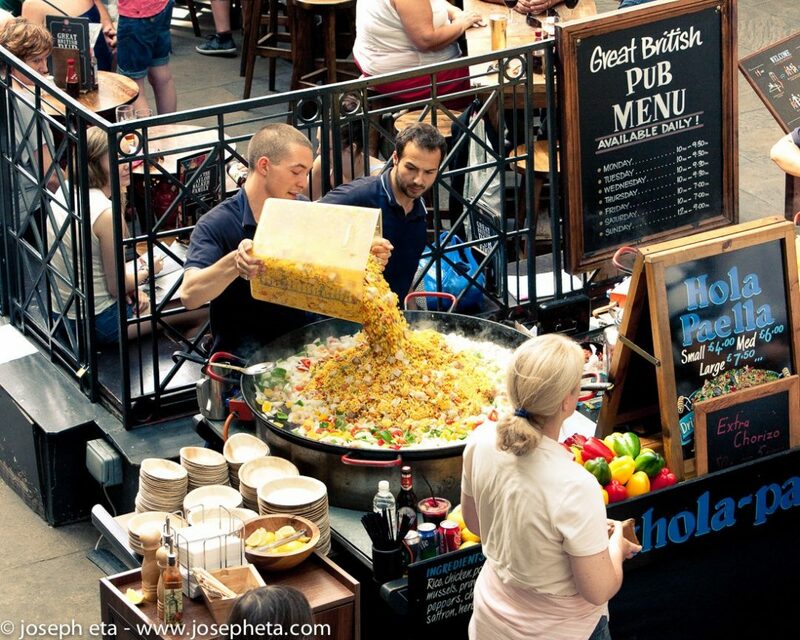 Looking for something more global, then ‘La Bodega Negra’ (16 Moor Street) offers upscale Mexican street food. When you’re ready to wash it all down, Jewel (4-6 Glasshouse Street) is a fun place for a cocktail or Lucky Voice (Poland street) for karaoke is always lots of fun! There’s no end of family friendly restaurants too; Pizza Express, Giraffe and Nandos are cheap and cheerful options available throughout the capital. Food with a view? Head to Skylon in Waterloo, offering sweeping views of the river and capital’s skyline. Not far away the recently opened Sea Containers is one of the best Southbank bars and restaurants for a special occasion. 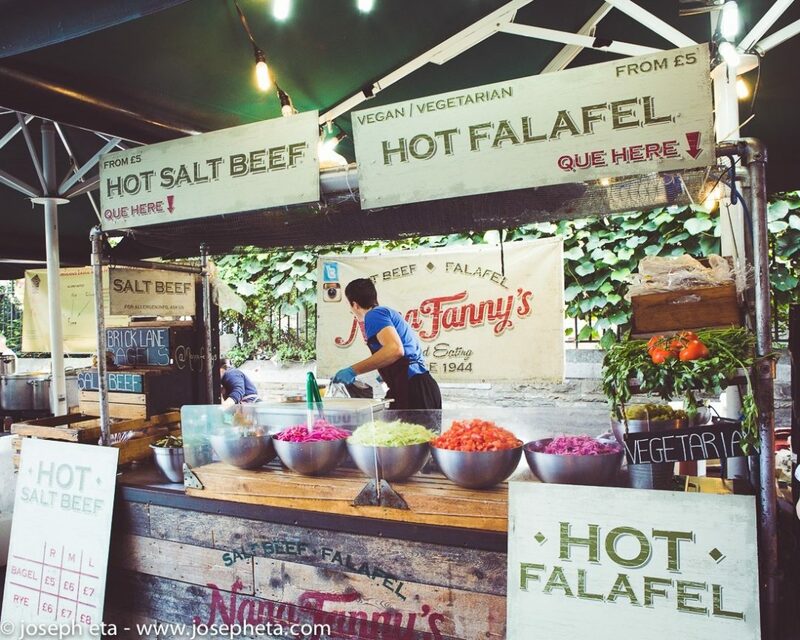 Eat on the street at one of London’s many welcoming farmer’s markets. 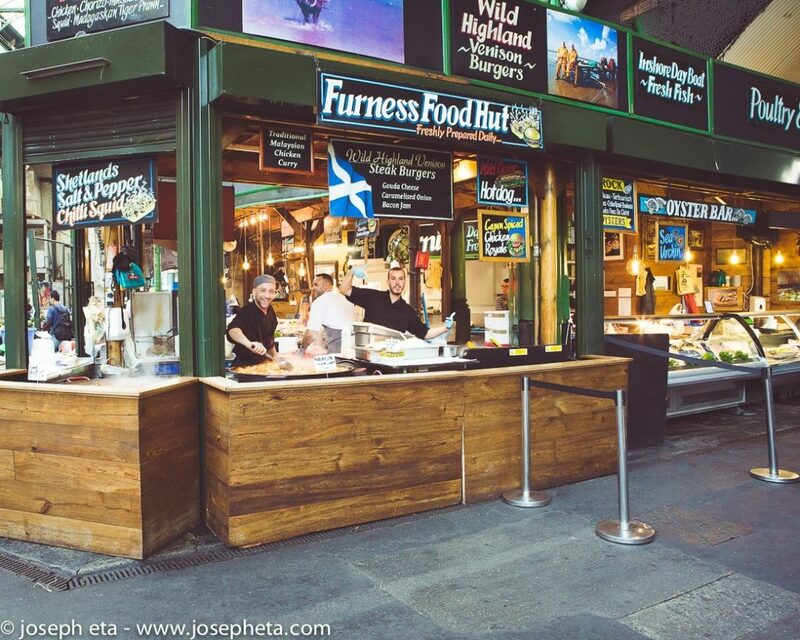 The best of these can be found in Borough market. 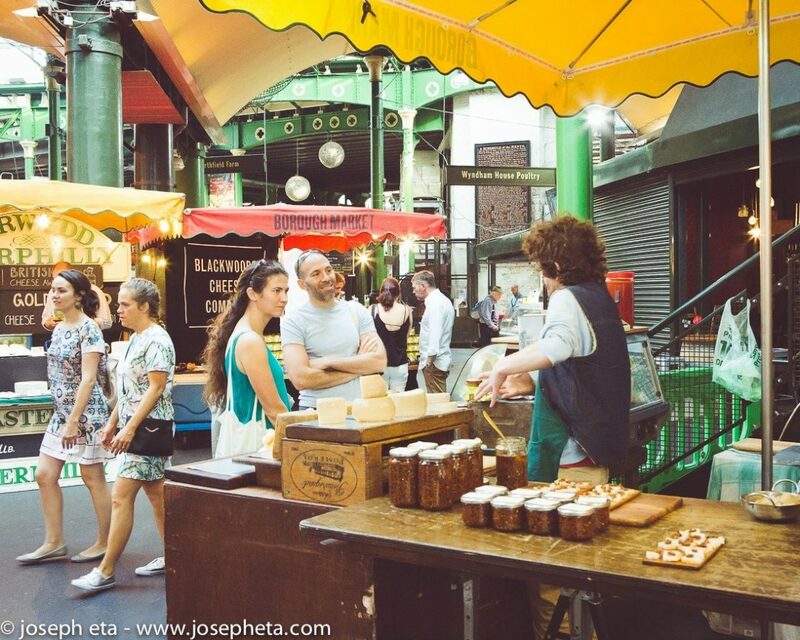 Melted cheese, chorizo rolls and fresh oysters can all be found throughout its cobbled streets and arches. 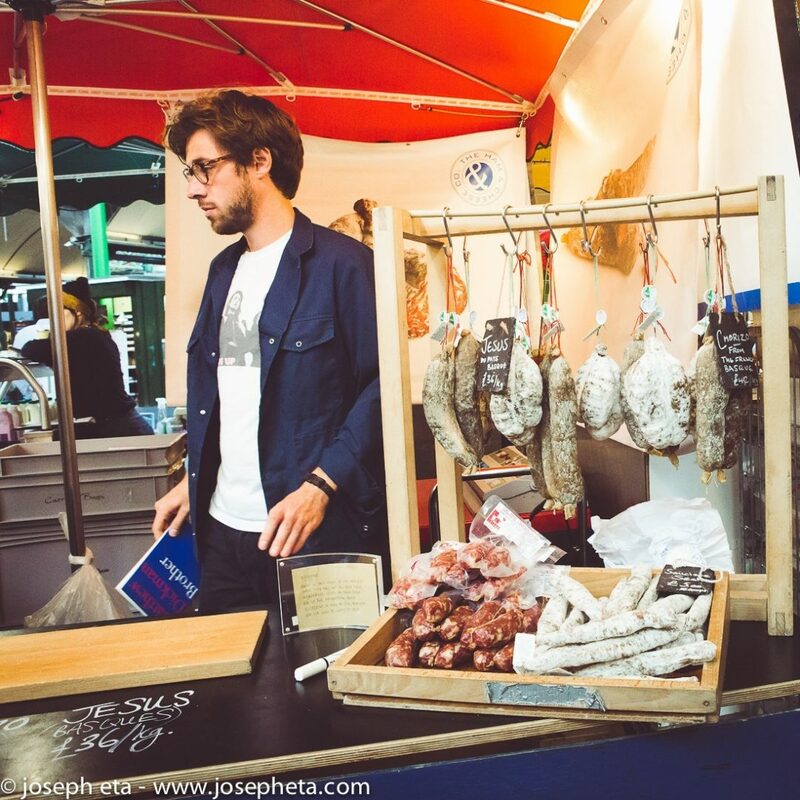 Look out for Brindisa, Mountain’s Boston Sausage and Neal’s Yard Dairy, which offers 70 specialist cheeses from the UK and Ireland. Be sure to wash it down with a local ale at the Market Porter pub nearby after! On the other side of London, Portobello Market in Notting Hill is home to an eclectic selection of eateries. 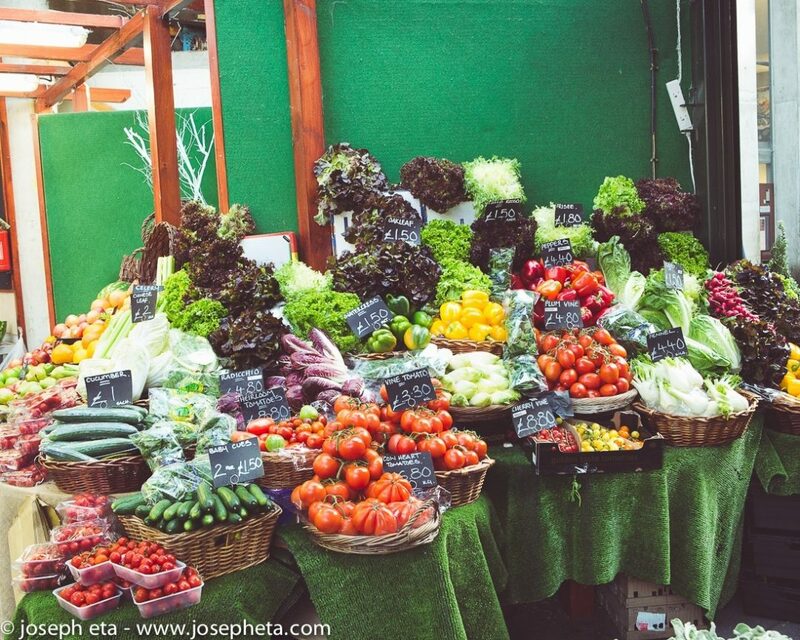 Fresh fruit and vegetable stalls are plentiful and there’s lots of juices and coffee shops including ‘Jake’s Vegan Shakes’. Not to be missed, around Globorne Road there’s lots of restaurants and street food stands, serving everything from Ghanaian to Ethiopian cuisine. And finally, no London trip is complete without a visit to a traditional ‘boozer’ and London boasts some of the best pubs and bars in the country. Covent Garden has an abundance of old pubs. Check out The Lamb & Flag (33 Rose Street) – harking back to the 18th this was once known as the ‘Bucket of Blood’! There’s also The Porterhouse (21 Maiden Lane) – a sprawling indoor, outdoor, every-kind of man pub. For something more private, Freud (198 Shaftesbury Avenue) serves surprisingly good cocktails. For after hour’s you can’t go wrong with the famous Notting Hill Arts Club – a trendy place to dance the night away! Please note – you must be over 18 years’ old to drink, and smoking is prohibited indoors. If you’re looking to mingle with locals, then Thursday and Friday’s post-work attract larger crowds, especially outside bars in Soho.